Create five different looks with these lovely buns for short hair. There’s bound to be one that suits you. Contrary to popular thinking, short hair can be styled in many ways. You can make beach waves. You can go for slicked back ‘dos and braids. Even pixie cuts can be styled. What you probably don’t know is that even short hair can be put in a bun. Yes, dear, these hairstyles aren’t just for long-haired girls. 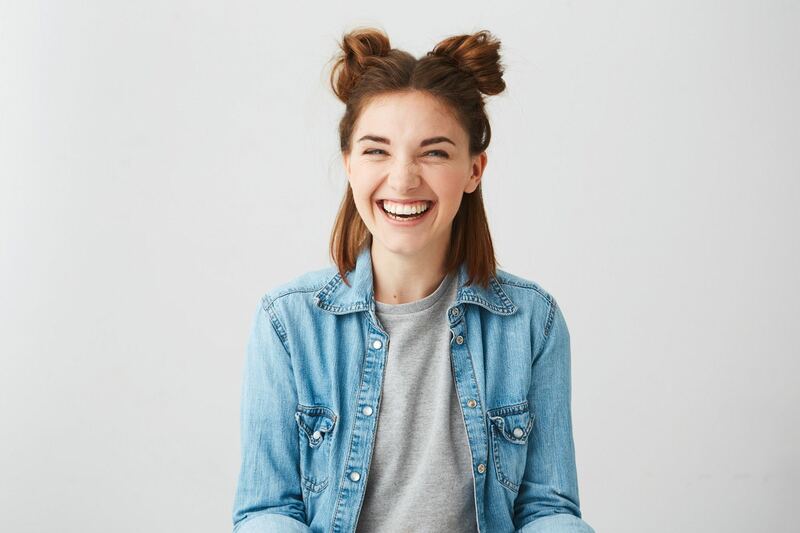 Check out these chic buns for short hair, and we bet you’d want to try them out right after reading this article. Ballerina buns may be a no for short hair, but other bun hairstyles are still a yes. The next best thing would be to go for a low bun hairstyle. This ‘do is just as chic, and you can wear it to weddings or events that require you to dress up. When the bun is done, just loosen some hair a bit to make your look softer and more laidback. Editor’s tip: Spritz TONI&GUY Sea Salt Texturising Spray on your hair before putting it in a bun to add texture. If you want to make buns for short hair, this hairstyle is another great choice. You can make one or two when you just want to chill and unwind. Whenever you’re feeling quirky and playful, style your hair this way. You can also create this ‘do if you want to go kawaii. Editor’s tip: Apply a drop of TONI&GUY High Shine Serum Drops on the lower half of your hair to make it glossy and frizz-free. Do you remember securing your bun with pencils when you were in high school? Like when you were intent on solving those algebra problems and you just wanted to get your hair out of the way? Well, let’s do an updated version of that. Instead of pencils, use chopsticks for hair instead. Lobs can be put into a chopsticks bun, while a half bun up with chopsticks can work with a shorter bob. First, gather your hair as if you’re about to put it in a low ponytail. Then, wrap it around one stick. Twist the stick and plant it on your hair. Make sure the stick is secured nice and tight. 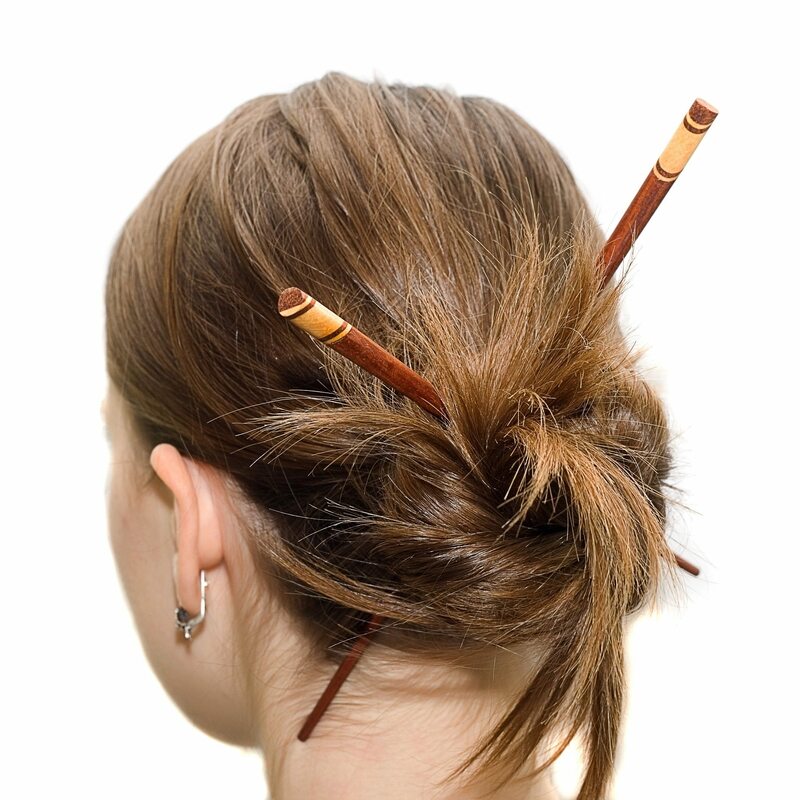 Place the other stick to form an X.
Editor’s tip: Make your hairstyle last longer by spritzing TRESemmé Salon Finish Extra Hold Hairspray on your chopsticks bun. Travel back in time with this hairstyle. Vintage buns or victory rolls may look complicated, but they’re easy to do if you know the right steps. 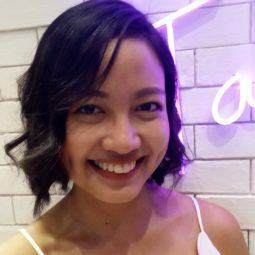 This hairstyle can work in both long and short tresses. You can wear this when you’re attending parties or when you want to glam up for a Saturday night-out with your friends. Editor’s tip: Keep your victory rolls in place by finishing your ‘do with TRESemmé Freeze Hold Hairspray. Here’s a tutorial on how to do victory rolls for a vintage hairstyle. This should help you get started with the basics of vintage glamour style. Give it a few tries then you can experiment with buns, vintage curls, and other variations to modernize and personalize the look. Got a pixie cut? You can make buns, too. First, spritz some heat protectant on your hair. Then, get a small section of hair at the top of your head, wrap it around a curling iron, and curl backwards to make a ring. Once you’ve made the ring shape, clip the tips with bobby pins. Create around two to three rings, repeating the process until you’re done. The rings may not be actual buns, but they can pass as buns for short hair. We’re sure you’ll look great, too. Editor’s tip: Prevent heat damage by spraying hair with TONI&GUY Heat Protection Mist before curling. See? You can definitely create buns for short hair. All you need are the right styling products and just a little imagination. Next read: If you’re attending a special event soon, you might be thinking of what to do with your short hair. Check out this tutorial to learn how to style short hair elegantly. 2018 Hair trends that will look fab on you all year round!